Transform DIB to GIF raster images online and without ads! 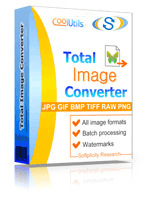 Run a DIB to GIF Online Converter or take our batch App for more! Description DIB (device independent bitmap) files contain raster data � a color table and image resolution information. They can be rendered in nearly all popular editing utilities. Mainly, the format ensures easy transfer and exchange of image elements no matter what kind of device you use, since pixel layout in these files may not correlate with the layout of your device. Data contained in DIB files describe colors that are used in images, values reflecting color characteristics, images� physical size, compression pattern, text, etc. DIB is one of the extensions used in the BMP format.